The universe just got a bit more interesting. Hello Games have added an astounding amount of updates to No Man's Sky, and they just keep on coming. Following hot on the heels of "The Abyss", the latest free update introduces a wealth of new content to the games procedural universe. Players can expect to encounter new species and worlds with a much greater sense of variety between them. 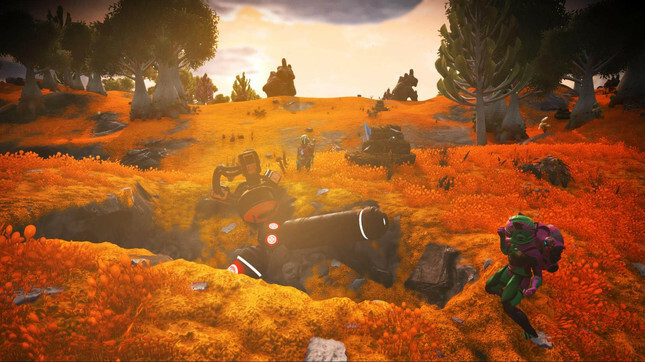 Hello Games stated "New shades of sky and grass enable more unique worlds and a more diverse set of science fiction aesthetics". Along with new alien creatures, Exotic Trophies have also been added and offer players a chance to display them in "habitable bases to create a showcase of your voyages across the universe". Players will also discover "ancient bones" which will need to be excavated before selling for some extra credits. Check out a couple of the strange new alien life forms below! There's a lot more in the latest update. You can check the full patch notes here for a wonderful breakdown of all of the new additions. I'm curious, who out there is still playing No Man's Sky? I dove back in recently when the NEXT Update launched and was blown away by how much Hello Games has evolved the game since it's troubled launch.